Your mouth quivers as you stare into the camera. The voice that comes out doesn’t sound like you. Talking at the camera feels weird as there’s no physical energy. There’s no one there to talk with or to respond to you. You’re told to turn on the camera and smile, breathe, relax, act naturally, be yourself, have fun. I know! This is the same generic advice that didn’t work for me when I began appearing on camera. And my first attempts were HORRENDOUS! But once I learned what my viewers appreciated, I got better on camera. As I became confident, I experimented more. Discovering more and more possibilities while communicating on camera is how I became hooked on creating live action videos. Hearing positive reactions from my viewers and requests for more videos meant we were connecting. Connecting with viewers does wonders for your business. People want to connect with you before engaging with or buying from you. To become effective on video, you’ll need two things: the right skills and the right attitude. 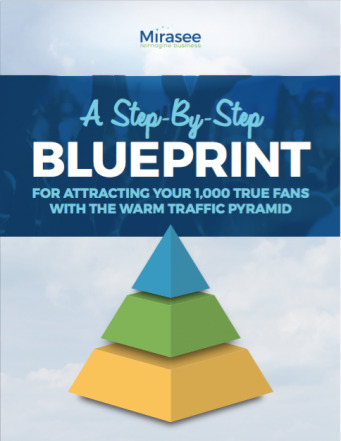 BONUS: Click Here To Get The Blueprint, How to Attract Your 1,000 True Fans! Let your audiences hear white space, as in brief pauses after your phrases and longer pauses after your sentences. Breathe and pause longer after sharing important content to give your listener enough time to process and remember this content. Record yourself reading outlines of speeches or blog posts. You’ll want to pause while you’re thinking of ideas and forming utterances. And then use an app that transcribes your speech, like Dragon Dictation. If you haven’t been pausing appropriately, then the app won’t transcribe your speech accurately. 2. Add vocal variety so you don’t lull your viewer to sleep. Adding more contrast accentuates what you say and livens up your videos. You could add contrast by varying your tone of voice, pacing, volume, pitch, word stress, emotions, facial expressions, and gestures. 3. Avoid over-using filler words. Instead of saying filler words, such as “um,” “ah,” “so,” “right,” or “yeah,” PAUSE while you’re thinking. Does your viewer notice your reflective pauses before you initiate a new idea or topic? Tell a story while socializing with coworkers, peers, or at networking events. As you tell stories, focus on pausing while thinking or repairing your story, in lieu of saying a filler word. 4. Use the right tone. Use a tone of voice that’s appropriate for your message and your audience. Practice delivering the same sentence but with different tones, such as: dull, harsh, condescending, or friendly. Note how your viewers’ perceptions change when you switch to different vocal tones. Switch your tone of voice while reading a story aloud to a child, or one of your blog posts aloud, to make it more conversational and use the appropriate tone. 5. Supplement your spoken communication with body language. 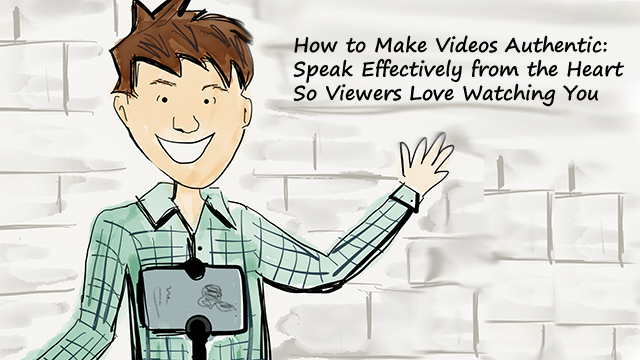 It’ll be easier for your viewer to understand what you say when your body language supports your verbal message, rather than the extremes of either being totally non-existent, or becoming the center of their attention. 6. Imagine talking to a real person. It’s not easy communicating through a camera because you don’t receive your listener’s energy or immediate reactions. This leads many to appear dull in front of the camera. To solve this dilemma, imagine you’re having a discussion or lively conversation with someone who’s on the other side of your camera. Pretend that person is leaning forward, eager to hear what you have to say. Viewers perceive your confidence and authenticity when you maintain eye contact with the camera! Placing a photo, puppet, or stuffed animal behind your camera helps simulate this personalized conversation. When you pretend that you’re interacting with somebody, your emotions come through your eyes. The only way to become a more dynamic and confident speaker on video is through consistent practice. Imagine if you enjoyed practicing speaking as much as you enjoy playing a sport, dancing, or playing video games? One way to spice up practice is to record a video journal. Savor recordings of your prized stories, ideas that stick in your brain, and moments worth holding onto. As you practice, be bold and request feedback on your video “performance.” Even though receiving feedback is key to awareness of what makes our speech difficult to understand or overly distracting, I dread hearing it. I feel vulnerable when I’m critiqued, especially when I appear on camera! People comment on what I say, how I sound, and how I come across. Here’s a secret tip for enhancing your on-camera projection: Before getting feedback from my video audience, I get feedback from someone I trust. This person is observant, aware of how I communicate when I’m in a face-to-face discussion, and compassionate towards me. Find a trusted evaluator(s) to give feedback on your video recording. Have your evaluator(s) carefully observe you using the 6 speaking tips discussed above. For the skills you have to improve upon, keep practicing and incorporating them in your lifestyle. Ask your trusted evaluator(s) for feedback on your video recording. Ask them for both areas you can improve upon as well as areas you’re doing right. Something lights up inside your soul when you hear praise or positive feedback! This reinforcement motivates you to continue recording on camera, trying something new with your videos, and loving the ways you can connect with your viewers. Communicating authentically on camera comes from having a deep understanding of your viewers and caring for them genuinely. You cannot fake this. Forbes describes the trend for speaking trainers and coaches to avoid turning clients into public speaking clones and to bring out their authentic communication style instead. I’m in favor of learning speaking and authentic communication techniques, as both focus on what your viewers appreciate. You’ll benefit from both speaking as well as you can and communicating as your true self. When you strive to speak in ways that please your audience, connections deepen. Before you can communicate with authenticity, though, you’ll need to know your viewers. Authentic communication requires using language your viewers also use and relate to. If your viewers don’t think that you know and understand them, then your message is just noise. If you really want to know and understand your viewers, immerse yourself in their world and reality. Know your viewers’ dreams, desires, fears, burning pains, and problems. Get to know their perspectives, beliefs, and values. Danny Iny reminds us to meet our audience where they are. While it’s important to be in the same place your audience hangs out, he also means you must understand where your audience is coming from intellectually, emotionally, and even, spiritually. And don’t tell them, but show you genuinely care about your audience. For example, I’m part of a Facebook group where a mentor, Damien Rourke, goes to extremes to communicate his genuine desire to help fellow group members. He writes mesmerizing stories that take our breath away. These stories highlight complex marketing concepts with intriguing plots. Inside these stories, he paints vivid images using his words and concepts. His language has a direct line to our emotions. He describes game-changing marketing concepts in ways we understand and treasure remembering. He removes the complexity of these concepts and encourages us to apply the knowledge so our viewers can benefit. This authentic way of communicating a genuine desire to be helpful has enhanced my learning of marketing concepts and exceeded my expectations for the group. How Do You Know You’re Communicating With Authenticity on Camera? Think of authentic communication as the messages and voice coming from your true self on camera. Conor Neill tells us to change our focus from what we want to communicate with our audience to what they need to hear. Your viewers are watching your body language and tone of voice to decide if your true self is communicating what they need to hear. Communicating this way requires knowing your viewers’ world and reality. This immersive understanding facilitates your ability to express empathy. Whether or not you show your viewers you’re genuinely interested and care about their perspectives is captured in your voice. Don’t assume you’re connecting well with your viewers. Ask your viewers questions to find out how they perceived your message. Rephrase and ask these questions again. Listen mindfully to their responses. Your viewers will tell you through their comments, engagement, or lack of engagement whether they trust, and believe your messages as being authentic. When I tell content I’ve memorized or read on camera… I bore my viewers. When I talk about content that’s not relevant and exciting… I turn off my viewers. When I speak well and share valuable content but don’t speak authentically… I don’t connect with viewers. Having the right on-camera skills is not enough. Neither is having a genuine desire to serve your audience. You need both to effectively engage with your viewers. Getting vulnerable by communicating authentically on camera has rewarding benefits. Your viewers will appreciate you and that you truly care about your connection with them. Viewers who connect with you reward you. They engage with you, buy from you repeatedly, and refer others to you. Which of the tips above do you think will make the biggest impact in how you come across to your video audience? Do you have other tips you want to share? Thanks, Keri! This was really useful! The bit on filler words made me smile. It reminded me of a University prof of mine who used “num-num-num” as filler. So funny! Glad reading this post brought back a fond memory. Uh, We often don’t realize we’re adding filler words. What’s your “go to” filler word, Berni? You bring together experience of your own both as an expert in speech and with what it takes for speech to become genuine when we are communicating through a medium like film and not face to face. We tend to think of video as ‘real’ — and it isn’t. Your tips help us realize that important difference and how to navigate it. Thrilled to hear you appreciate the video tips, KIm. You’re right video differs from live recordings like SnapChat or Periscope. Imagining yourself having a back-and-forth chit-chat helps your nerves. Also I nvites viewers to virtually join you. Have you created any viewers for your yoga / meditation audience yet, Kim? I am finishing up the videos and getting all of the other ducks in a row for the blog launch and then hope to get those viewers AND their feedback before creating more so that I can give them what they want:) Thanks for asking. Your blog launch sounds exciting, Kim! Smart to learn more about your audience so they’ll love your videos even more. Have your yoga or meditation clients shared their input? Thanks for sharing this Keri. I especially like the first tip, which is pacing the delivery and providing “white space.” It’s similar to writing and publishing an article. The whole layout and look of the page should be pleasing to the eyes. In videos, some pauses will help in giving air between sentences. That results to a more pleasing audio and video. I’m impressed, Joshua that you also notice how speaking and blogging well relate! The trick is to adapt in ways our audience appreciates. 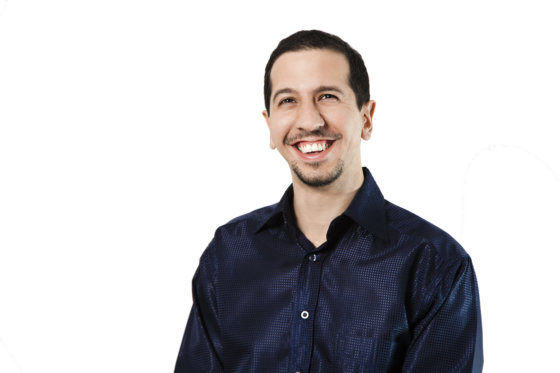 You have NO idea how often I use blogs for my speech clients practice speaking skills. Keep writing those conversational blogs! Making videos is a great practice… it never becomes any easier. I had a 2 minute speech to give yesterday and I knew that I should make a couple of practice videos… but I found myself delaying and avoiding and saying “I know what I want to say…” eventually I just started the video, but boy did I resist! 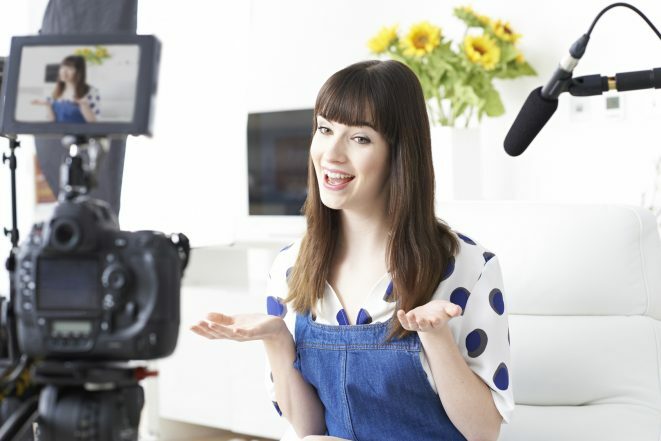 It takes powerful stories and speaking from what you believe to make videos engaging! Wow – thanks for dropping by here, Conor! 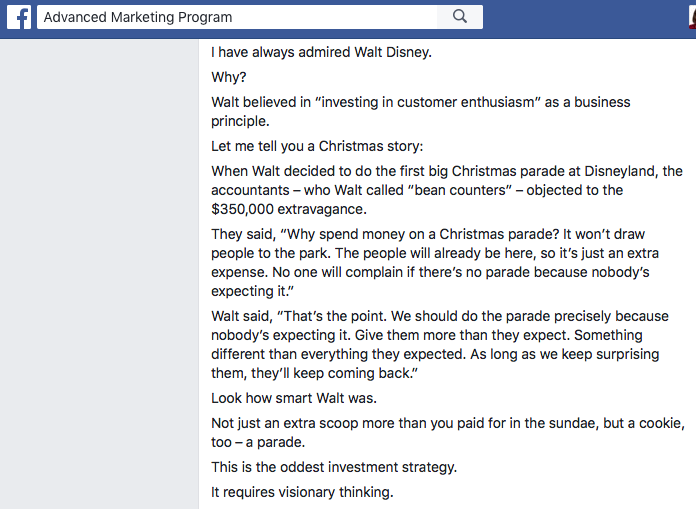 Hearing even “legendary” public speakers sometimes need video motivation is inspiring. You feature extraordinary stories and speaking wisdom, including authentic, powerful messages in your videos. 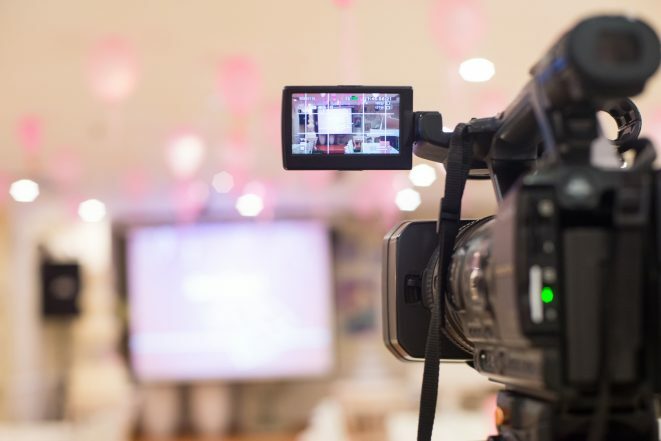 Video blogging helps us to build connections with our viewers like no other blogging format. Marketers are buzzing about the importance of visual content – photos, info-graphics and videos are key to telling your brand’s story. Authentic communication is an integral component of healthy living. It simply means bringing our feelings and perceptions into a conversation, and it’s the only way to develop true connection with the people around us. Eventually, thanks for sharing much information with us. You share brilliant marketing insights for bloggers. The Blogosphere is crowded- How about videoblogs? The ability to write well, ie with authenticity, as you mention, comes from speaking well. Here’s to speaking and writing from our true voice / emotions/ perspectives! I would add to tip 6: If you got the chance, the first couple of times, have an actual person that is eager to hear your content and/or that you feel very comfortable/connected with sit next to the camera. I once asked a friend who had an incredibly alive information audio file how he did it, and he said that when somebody asked him about his trainings, instead of replying, he invited them to be present during the recording, and it became an incredibly attractive file that I am sure contribute to building trust in hundreds of people who signed up for his 12 day trainings. What a win-win for his video fan as well. FYI: Back when I filmed videos for kids… I had a videographer friend who I paid to help out during filming. My on camera energy level soared thanks to her presence. 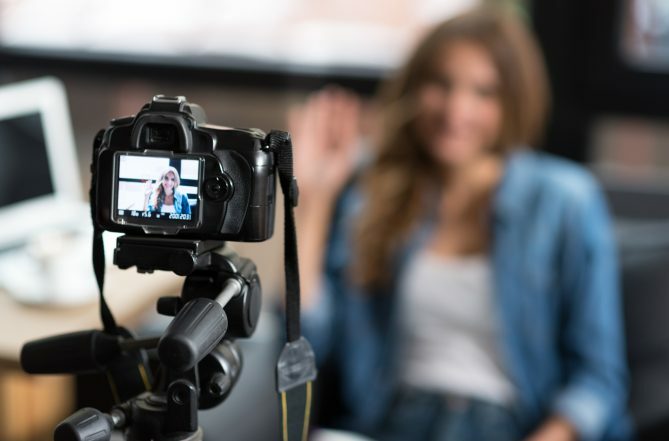 I was so pleased to tweet out your video marketing tips some of the most impressive that I have seen, I believe it is so important to bloggers, and businesses to use video as it places those bridges together with your audience, to build that trust and authority. congrats on your book 10 rules of visionary business, I look forward to reading more of your content. You deserve a certificate of appreciate for your outstanding support, Walter! Your raving feedback and support with sharing the blog mean the world to myself and the extraordinary Mirasee team. I’ll pass on your congratulations to the site owner & book author, Danny Iny. I agree this crowded blogosphere is ready for more videos. Far too much automation and too few meaningful connections happening. Really impressive i got knowledge about making video authentic and self speaking, good experience. Hearing your praise means a lot, Kaavin! Glad to know you found the tips about being authentic and easier to take in your messages.